Ergo Balance Oversize Trail Glide™ stirrups are made of lightweight sturdy nylon, and will accommodate the larger foot or heavy boot. 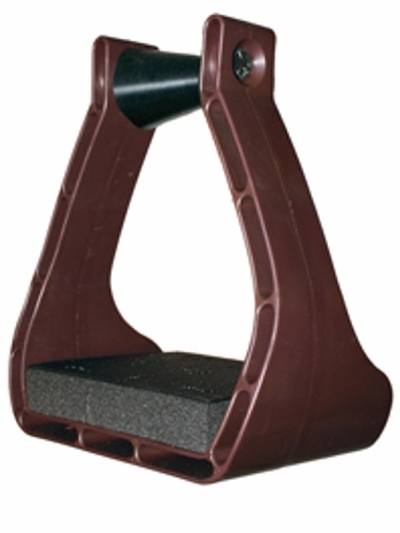 The special angled nylon top bar helps place rider's feet in a level position for decreased knee and ankle fatigue. A comfortable thick sponge rubber foot cushion provides for shock absorption. In 1 1/2" , 2 1/2" or 3" neck. Base 5 3/4" wide base, 5 1/2" deep. Black or brown. Sold as a pair.